The exhibition 'Daniel Buren: A Fresco', at BOZAR, Brussels from 19 February until 22 May 2016, responds to the question: "How can you exhibit works of art which are connected to the place in which they were created, anywhere in the world?" 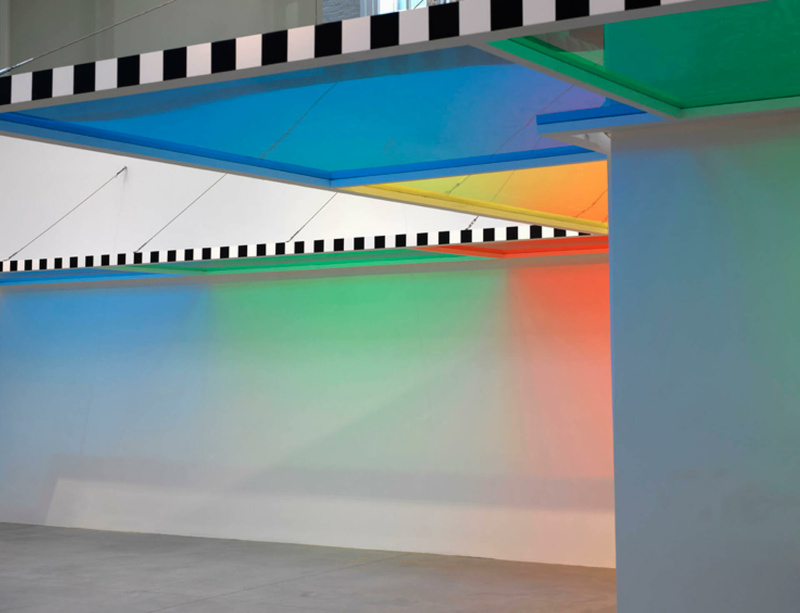 Throughout his career Daniel Buren has created artworks that complicate the relationship between art and the structures that frame it. In the early 1960s, he developed a radical form of Conceptual Art, a “degree zero of painting”, which played simultaneously on an economy of means and the relationship between the support and the medium. In 1965 he began using his 8.7cm-wide vertical stripes as the starting point for research into what painting is, how it is presented and, more broadly, the physical and social environment in which an artist works. For his exhibition at BOZAR, Buren has created a site-specific intervention in which his work enters into dialogue with the artists who have inspired him. These include legendary figures such as Paul Cézanne, Henri Matisse, Pablo Picasso, Constantin Brancusi, Jackson Pollock, Fernand Léger, Marc Chagall and Sol LeWitt. Buren has also created a new film for the exhibition. In combination with the exhibited works, the film summarises the essence of Buren’s quest for beauty: a Fresco. A talk between the artist and Joël Benzakin, curator of the exhibition, will take place on Friday 19 February at 7pm.